Temple of Heaven Gunpowder, Organic Green Dew & Lotus Candlestick, a flowering display tea. 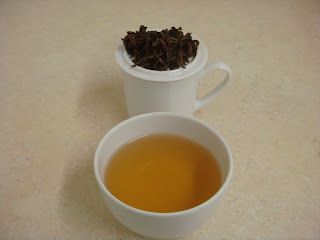 Organic Pai Mu Tan & White Chai. Walk-ins are welcome. The event is from 6 pm - 7.30 pm, includes refreshments, a brief presentation on the background and history of tea and useful and fun tips on how to store and how to steep the perfect cup. A quiz with prizes completes the event! I will let you know how the evening turned out.